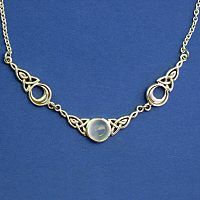 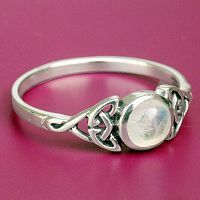 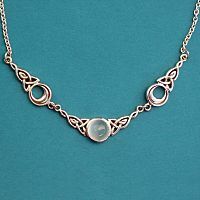 - Rainbow moonstone cabochons set in sterling silver knotwork reflect the radiance of the full moon. 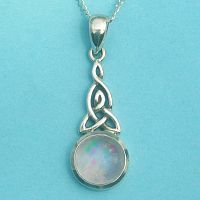 For pierced ears only, on French hooks. 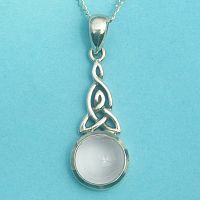 Earrings measure 1-1/2" tall. 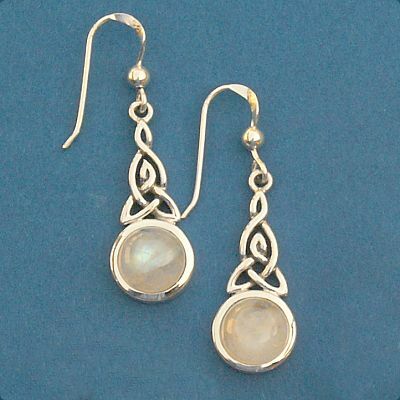 Do you have any other questions about our Silver Celtic Moonstone Earrings?